NEW ADDITION!!! Billet 3-4 and 5-R Fork Options! Please note the base listing is for MkIII A70 Supras, and not for JZZ30 Soarers or JZX100 Chasers. You may need to check your transmission before ordering. If you are tired of breaking your R-154 transmission, we now have the solution for you! When you start to make good power, the stock transmission has its weak points, mainly the thrust washer, main bearing carrier, and the 1-2 and 3-4 shift forks. Our rebuild kit contains the DIE-HARD products from Marlin Crawler, the authority in BUILT R154 transmissions! When large amounts of TQ and HP are applied to the mainshaft in the transmission, it can distort the bearing carrier, so we provide the heavy duty carrier that will not flex under load. The 1st gear thrust washer can crack--and even sheer apart--under high load, but this kit has it covered with the upgraded thrust washer as well. We don't just want a transmission that can hold the power, but we want one that can shift smooth as well, so we provide the hard plastic cup for the shifter (and the pivot cup as well) so the shifter does not 'walk' around in the housing. In order for all components to line up perfectly, we have included all new syncro package that has the updated design: gears 3,4 & 5 will engage perfectly! 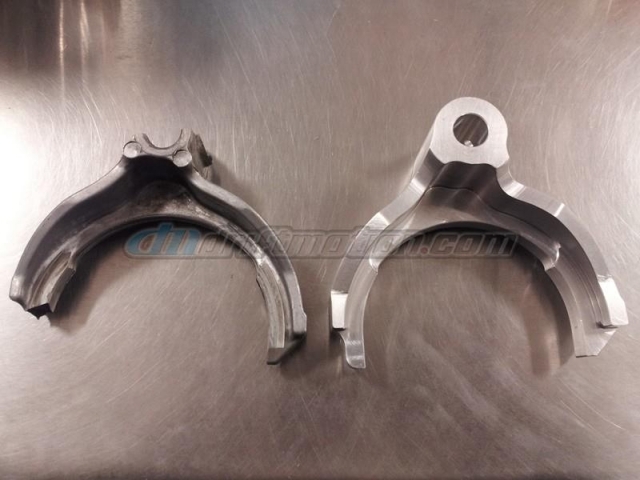 Failures have occurred in the 1-2 shift fork as well, which we address with our solution, which is the MC Billet shift fork that will not break like the factory one. We have also included the billet 3-4 shift fork that has been developed as an option! We top the kit off with all the main bearings that can wear out and the main seals and you have a comprehensive rebuild kit that can hold more power, shift smoother and last longer than the OEM parts. Sold only as a kit. Please keep in mind that depending on availability of the parts, there might be a delay of a few weeks or even a few months before we can ship the kit out to you. We strongly recommend contacting us and checking on the latest ETA. Also, please note that the R154s from later Chasers and Soarer models (starting after Mk3 Supra production ended, around 92 or 93) might have a different synchro ring, and rear output bearing. 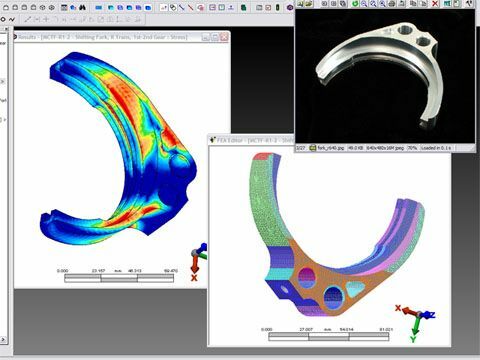 The shifter forks might also not fit those as well, so please verify that your fork looks like the pictured one. 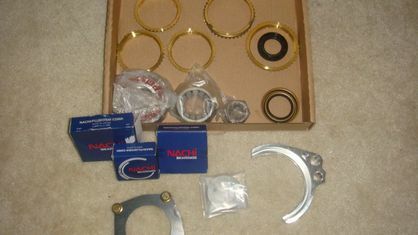 If you have a newer transmission with 3 piece synchros, some parts of this kit might not fit.